www.natask.bandcamp.com NatasK- Affiliations ( 814 Bass Crew, Plasmapool Records, Subsurface ) www.814basscrew.com NatasK got his start early on in 2001 out of Pittsburgh, Pennsylvania. His passion for electronic music exudes from his sound and has proven to be quite contagious. He co-founded the DJ collective Sub-Surface Tribe and his progress only took off from there. Through working with many other artists and musicians alike, NatasK developed a sound all his own and started to gain a following. In 2006 and 2007, liquiddnb.com featured not just one but three of his mixes. NatasK was recognized during this time as a drum and bass DJ and received international acclaim from liquiddnb.com. It was then in 2008 he decided to switch up his sound from drum and bass to Dubstep. During this time NatasK relocated to northwestern Pennsylvania and settled in Erie where he created the 814 Bass Crew movement- his own art, media, and music collective. 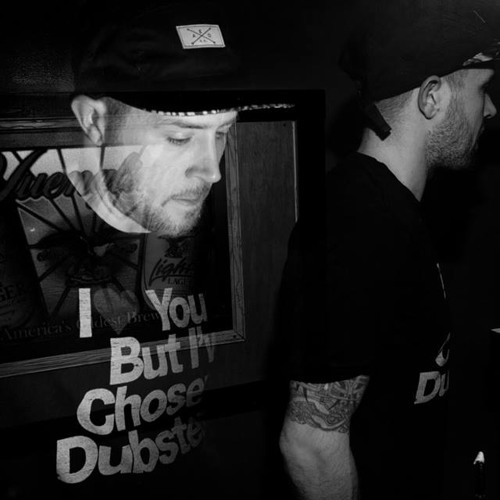 He developed a UK-style sound and through perfecting his mixing approach, applied Dubstep and Turntable-ism into his live sets and production. Later on in ’08, NatasK threw his first party as the 814 Bass Crew. The crew was booming in soul and merit- the possibilities were endless. From there it was a pure snowball effect- between massive track production, having Friday night weekly events with For Play Friday’s at the Avalon Hotel in downtown Erie, and eventually a year later with opening up his own event space for a period of time (Project Warehouse), NatasK and his crew were making some big moves and progressing on all levels. NatasK then started a 4 year running monthly BASS event, the first Thursday of every month that was known as Crooked Bass at the Crooked I Nightclub and Event Center in downtown Erie. NatasK and the bass crew have acquired quite a reputation for bringing great live sets that always seem to get the room moving. With over 16 years of experience, NatasK brings a cutting edge sound of heavy bass and choice breaks. He’s been contributing to electronic music’s movement on the map for Erie and western PA with his slick mixing, big tunes, heavy drops and cutting and scratching all incorporated with his own productions to make the crowds go into frenzy. NatasK has played alongside some of the largest names in the industry on an International Level, and his talents continue to grow as the fan-base keeps on the rise, NatasK has some great plans for his future, and the future of Electronic Music, most currently with the release of his full length Album “I keep It Moving” as well as Becoming the Newest On air personality on the Electric Circuit, a weekly EDM radio show on the FM dial 90.5 WERG based in Erie PA Fridays from 9-12 Midnight Est.